Think manicure and the first thing that comes to mind is a gorgeous set of painted nails. But without perfecting the base coat, colour has nowhere to shine. As natural nail expert Jessica Vartoughian famously states, “all nails are not alike”, so as with skin and hair, they too need a tailored solution. 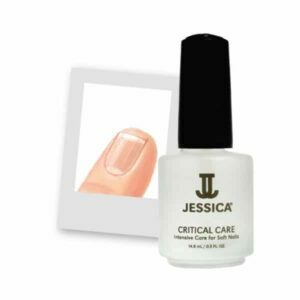 Used regularly, the correct base coat will help nails grow long, strong and beautiful, presenting the perfect polish at its best. 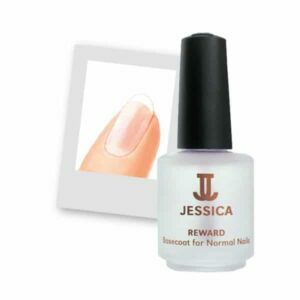 Also did you know Jessica herself recommends a normal manicure or pedicure after every 6 GELeration applications… This gives your nails the chance to soak up their prescribed basecoat over a short break ensuring your nails remain strong and healthy. Jessica’s exclusive Protein KSW formula (Keratin, Soy and Wheat Protein) and H20 increase moisture levels. While, Jojoba, Aloe Vera and Vitamin E help to heal, condition and strengthen. Improve resilience and flexibility with this moisture-restoring combination of Protein KSW, Calcium and H2O, which allows the nail to retain moisture. Rich with natural botanicals and antioxidants, this Vitamin Therapy contains Vitamins A, C and E to maintain health, strength and flexibility, while Calcium and Aloe Vera protect against nail breakage. 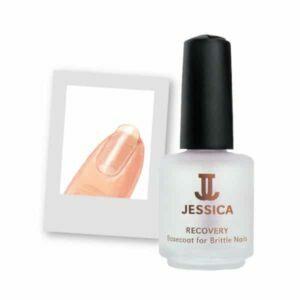 Rebuild nails from foundation to surface with this regenerative formula containing healing Echinacea to reinforce the nail and aid the recovery process. This saviour for peeling nails contains rubberised resins which fuse together the delicate layers of the nail, while vitamin A strengthens and conditions for growth. Containing Protein KSW, fortified with Calcium and intensive strengtheners. Increases keratinisation, creating a protective barrier to allow for maximum growth and strengthening severely weakened nails.